As Microsoft release what they called "Best Window" ever made by them. 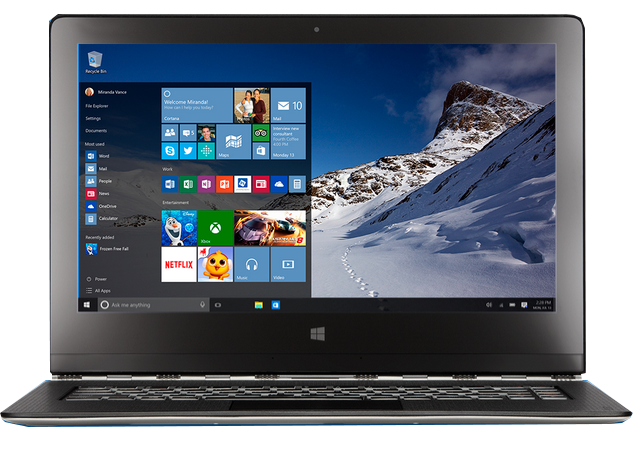 A lot of expectation is already trailing windows 10 as it arrives today July 29, 2015. It is a good upgrade for Windows lovers and promises better feature than its predecessor; Windows 7 ultimate and Windows 8 and 8.1. Microsoft really made a great improvement to Windows 10 by listening to their Windows users and integrating the better part of Windows 7 and Windows 8 together to come out with Windows 10 version which is capturing the hearts of tech geeks and computer users all over the world. After the failure of Windows 8 which forced many users to go back to Windows 7 Ultimate and Microsoft to release Windows 8.1, they have now decided to allow free upgrade to Windows 10 to all legible users of Windows 7 and 8 respectively while Windows 10 Home will cost $119 and and Windows 10 Pro goes for $199. If you are using a cracked-version of the previous Window, you may not be able to upgrade to Windows 10 for free. When is Release Date For Windows 10? How Can I Download And Install Windows 10? If your "windows update" is turned on and your previous version of Window is up-to-date, You will see a small icon of Windows logo, It can be found beside the internet status icon on your taskbar. To download and Install Windows 10 click on the Icon and follow the instruction from Microsoft. You can also download it through Here. Note: Make sure to backup your files and softwares before upgrading, there is no guarantee nothing will go wrong to be on safe side. Windows 10 will take you almost 3gigabytes to download complete, You probably need strong internet connection and enough data. Can I Download Windows 10 on July 29? If you are a member of "Windows Inside Program" Windows 10 will be available for immediate download as a reward from Microsoft and then they will slowly allow other interested users to download the new window over the coming days and weeks. How Much It Cost To Upgrade To Windows 10? Windows 10 is free to the legal users of Windows 7 and 8.1 until July 29 2016, but not free for those still running on Windows Vista. Those who needs Windows 10 Home will have to pay $119 while Windows 10 Pro users will pay $199. What's PC Requirement For Upgrading To Windows 10? 1 GB RAM for 32 bit operating system and 2 GB RAM for 64 bit operating system. Hard Drive: 16 GB for 32 bit system and 20 GB for 64 bit system. Will I Lose My Files If I Upgrade To Windows 10? Not likely, You will need to upgrade to Windows 10 through your windows update program on your system, which will keep your files safe. Though you may lose Windows media player, as it have no support on the new Windows 10. However, it is always wise you backup your files before upgrading to Windows 10. Can I Downgrade (Return) If I Don't Like Windows 10? 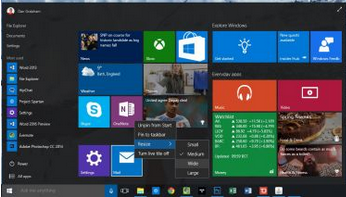 What's New In Windows 10 and What Makes It So Special? Windows 10 being an upgrade of windows 7 and 8 comes with the best feature from the two. We see the the Start Menu that existed in Windows 7 but was lacking in Windows 8. It is now paired with a more futuristic modern live tiles of windows 8 which gives you customization option. Windows 10 comes with many fantastic features. The Microsoft trademark browser "Internet Explorer" is being replaced by another browser "Microsoft Edge" codenamed "Spartan". Edge can be used both on touchscreen and non-touchscreen device. Edge will totally replace Internet Explorer on Mobile phones but will still give PC users option to use Internet Explorer. Edge have a feature to scribble notes direct on a webpage. Windows 10 also comes with a personal digital assistant called "Cortana". Which is judged to be better than Apple's Siri and Google's Now. It executes your commands and answers your questions you ask her via texts or voice. Finally, Windows 10 is really such a joy, it is still new and have many promises. However, there are still lots of good and bad parts of this operating system that are yet to be discovered. But it’s not what you think. After seven years in journalism, I came across a job listing call girls for a social services at an anonymous agency. I was intrigued, assuming the gig was related to sexology (the study of human sexuality) because it had been posted by a sexologist friend of mine.